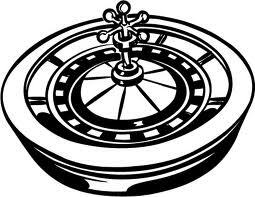 This is a GUIDE for people who want to learn how to play roulette and even become professional players and make a steady income by playing roulette. 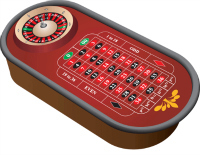 This guide is about gambling in general and the Casino Roulette in particular. Basic inquiries are discussed, like why it attracts so many people, what is good about it, what is not good and so on. To keep it short, casino games, especially the Roulette, are a good way for you to relax and at the same time win a lot of money. They are not good because they can be addictive, thereby ruining you. However, I think the most important thing would be to find the answer to a simple question: what is the purpose? Or why are we attracted to gambling? First, consciously or unconsciously, most people practice gambling being mobilized by the winnings they can get. The mechanism is simple: Mr. John goes to the casino with $100 thinking that in a half an hour he could get $1000 or more, perhaps much more. Because people are attracted to quickly-made money and like to dream, the problem is that as you do so, you become more daring. And perhaps John will get to fantasize about the owner of the casino coming and asking him to accept what he earned plus a bonus and drinks on the house all night, only to stop playing. Do not be fooled by what others say, for example: “I played the roulette and lost, but I do not care, I play to have fun” / “I’ve been at the roulette and won, but it does not matter, anyway I went to have fun” – it is a big lie, even if the person who says it is aware of it or not. In what follows, I will demonstrate what I said above. 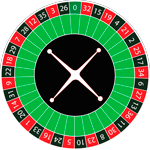 If you have fun playing the roulette, just for the game, you can buy a little set at home or on Internet sites. When you play for real money, using the fun expression is clearly a distortion of reality. On the other hand, why do many roulette players not quit even if they lose a lot? Why, when not having any more money, do they borrow from the house or pawn shops that are sometimes around? What’s worse is that some of them will not even realize that they are playing with money. This is one of the biggest mistakes made by gambling practitioners: they do not set a goal. Money, entertainment, money and fun? And let me tell you another thing: there are people that have a lot of money that play Roulette or any other casino game with the intention of having fun. But very few are those whose objective does not change during the play. The thought that you could make thousands of euros/dollars in a short period of time can mess up your judgment and when experiencing losses although you could win (possibly you are seeing others that win), you’re still tempted to play. When you reach this state of mind you can’t play safe, because your mind is concentrated on fortunes won quickly (or to recover losses that occurred up to that point). On the other hand, I congratulate those who have so much money that they can afford to play only for fun. As for me, I do not understand the fun in losing money. Therefore, I recommend everyone to have a clear objective when relying on luck. In the future, we will all see how important such a mentality is. Another very important thing is to choose very carefully the place where you play, whether it be The Royal Casino in Monte Carlo, a neighborhood casino or the Internet. Although many do not pay attention to this aspect, the minimum stake is very important. Depending on the style of play of the person and the strategy used (I think all players have a strategy, even if it is discreetly sketched), one should think before he/she starts: “Can I afford to go all the way with my strategy? Can I lose a few hands/turns, then get back into winning?”. Understand the idea? I hope so. In any case, you will not go to a big/no limits casino with $50 in your pocket and hope to have a minimum 50% chance to earn a profit. Do not forget: you need a calm atmosphere, also avoid noisy places and those inhabited by people bent on trouble. Of course, everyone can find a lot of other criteria… I really encourage such thinking. - Set your goal and fix it in your mind before you start; - Play to win, you can’t have fun otherwise; - Don’t play anywhere before having chosen the best place for you depending on the style of game, the atmosphere, etc. Whenever you enter the casino (brick-and-mortar or online), you need to forget about greed, fear, megalomania or the eyes of those around you, because all this might affect your game and you are facing a strong opponent, one with many advantages. Defeat can not be seen as a victory, even you want to lie to yourself in that sense. Keep in your mind only one thing: You went there to take their money.